Details: Families in America are under attack. Teenage rebellion, divorce, juvenile delinquency, emotional disorders, and relational dysfunction are way too common, even among church goers. How can you have a Godly family in the midst of such a worldly culture? Israel will provide practical and Biblical answers. Learn how you can effectively disciple your children to know, love and serve God. Israel Wayne is a popular keynote speaker, author, and director at Wisdom’s Gate Publishing. Introducing…. Home School Week at The Grove! The Grove is dedicating one week exclusively for Homeschoolers to experience our hands-on programs! Historical and Environmental Educational programs are available for homeschoolers from grades K-8. For more information or to register for a program, please contact Kris (224) 521-2101 or Judy (224)521-2105 by February 20, 2013. Late registrants may be accepted based on availability. Please note that payment in full is required at time of registration (children 4 and under are free). 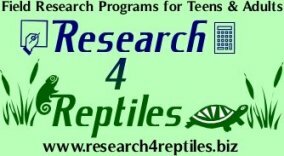 For a full description of our programs and to see a video of our field trips, please click here. Think your chores are tough today? Learn what life was like for pioneer children-from candle making to weaving, students will experience what it took to be a pioneer firsthand! This program ends with a delicious lunch prepared by students featuring: tomato based beef stew, cornbread with freshly churned butter, applesauce and snickerdoodles for dessert! Do you think it’s possible for a family of six to live together in one or two rooms? Students will discover what life was like living in a 1850s log cabin, and what children were expected to do-from tin punch to drawing water from a well-these hands on experiences will make students appreciate the difference between pioneer life and the modern world! A pioneer lunch is included in the program-see above description for menu. Imagine having to load up your car-for a trip from the east coast to the west coast. Would you be able to pack enough food/clothing/soap to last for weeks at a time? Work together to determine what’s important enough to bring along and what can be left behind and pack The Grove’s wagon to ready for a trip westward! Parking is available along Compass Road and along Lehigh. Harness the power of the wind in this fact filled program in which students will work in groups to build a kite! Learn about some of the alternative forms of energy being produced at the Tyner Center. Do you know how long it takes a shoe to decompose in a landfill? Learn all about the 3 R’s and how making small changes can make a huge impact on the Earth! Travel back in time and learn what school was like in the 1850s at The Grove. Experience a typical school day in our reproduction Schoolhouse, where a schoolmarm or school master will lead students through lessons in history, math, spelling and geography using slate boards and quill pens. Learn all about the Potawatomi Indians’ culture and heritage, and the historical ties between this native group and the settlers around The Grove. Learn about the traditions of the Potawatomi and how they impacted the land, and try your hand at using some of their tools and playing some of their games. Walk along our trails with one of our trained interpreters as they explain the significance of the changing seasons and what signs to look for along the trails. Meet some of the native animals that reside at The Grove and some of the natural artifacts in the Interpretive Center. Ever seen a glacial erratic up close? Discover all the forces that have shaped the Earth through time, as well as learning how to look for evidence of glaciers. Dig into the soil and discover what’s in the ground! Learn all about the lifecycles of different animals and the types of habitats that can be found at The Grove. Dissect an owl pellet as part of your investigation into the crime that was committed at The Grove. To solve the case, students learn about predator/prey relationships and use this understanding to eliminate suspects to come to a logical conclusion. Letterboxing is a fun way to go on a hike and explore new places at the same time. Each participant will receive a journal and learn its use, and how & where to find the Letterboxes. Participants will hit the trails in search of The Grove’s Letterboxes. Participants will learn how to work with the forge, anvil and hammers that a Blacksmith uses to make useful household items. Everyone will take a finished project home. Take a hike in the woods to find animal homes and their footprints. Then gather around the camp fire to roast marshmallows, make s’mores and sing songs. Dress for the weather. Program may be modified due to inclement weather. Where: The Grove, 1421 Milwaukee Ave., Glenview, IL. Please park in the West Lot, staff will direct you to the correct building. This award-winning educational event is specially designed to meet the curriculum standards for students in grades 5th through 8th. Midway Village Museum’s campus makes this an exceptional field trip destination with more than 25 historic buildings and from 40 to 50 different living history sites offered each day. Groups will visit the sites that they choose. The program is open to public, private or home schools from northern Illinois and southern Wisconsin. In 2012, approximately 5,000 students participated in this program, but space is limited and advance registration is required. Cost is $7 per student and $1 per adult chaperone. For registration information, contact Jessica MacDonald, Special Events Coordinator at 815 397-9112, ext. 104 or jessica.macdonald@midwayvillage.com. For all the details and to register, check out the Midway Village’s website. If you are unable to make this event, you might still be interested in some of the other opportunities for homeschoolers in particular to enjoy the museum. We’d like to share a special invitation to the homeschooling community to attend a preview of “The Pirates of Penzance” at pre-performance prices. Wheaton College’s Opera Music Theater will perform popular Gilbert and Sullivan comic opera January 16-19 at 7:30 p.m. On Tuesday, January 15 at 7:30 p.m. the dress rehearsal is open to our homeschooling friends at the half price cost of $5 a ticket. All performances, directed by Andy Mangin, will take place in Pierce Memorial Chapel, located on the southeast corner of Washington and Franklin streets in Wheaton. Tickets may be purchased at the door. For more information, call the Conservatory of Music at 630.752.5098. Here is a fantastic looking opportunity, and very affordable! Hat-tip to the Naperville Home Educators Yahoo group for sharing. I would like to invite your child to participate in the Illinois Institute of Technology science offering, Let’s Be Water Wise! Home schooled students will meet together for 8 weeks (Thursdays), beginning February 21st, at the IIT- Rice Campus in Wheaton. See http://www.iit.edu/rice/about/directions.shtml for directions and location. The class will run from 8:00 AM until 10:30. The group will be comprised of six to ten students, aged 11-15, and interested parents. I will facilitate. I have taught biology, chemistry, physical science, environmental science and methods in science education for 36 years, working with students aged 6 through adult. After examining the attached syllabus, if you would like your child to participate, respond to this email with your child’s name and age. Next, please send a check for $25 payable to the IIT School of Applied Technology, to my attention at the address below. This will reserve a spot for your child and will cover the lab fee for the class. There may be field trip entrance fees and transportation costs as well, but there will be no other course fee. If you have other questions, let me know. This pilot program, supported by the IIT School of Applied Technology, will run for 8 weeks, meeting once/week at the IIT Rice Campus in Wheaton. Each session will be approximately 2.5 hours. Field experiences will meet off campus, and at least two are planned. Six to ten students will be enrolled; the intended audience is young people, aged 12-16. Parents are welcome participants. Please contact her for more details and a preliminary syllabus. Chess is a fun and challenging addition to any homeschooling curriculum with benefits that last children a lifetime including accelerating in academics, enhanced concentration, confidence building, and much more. 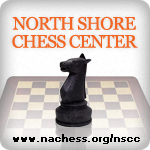 The North Shore Chess Center proudly presents group lessons for the homeschooling community beginning January 2013. Since 2010, the chess center has offered a variety of chess activities such as tournaments, group lectures, and visits from chess Grandmasters. Classes are forming now! Hurry before the classes fill up! Visit us on the weekends and see a real tournament in progress! 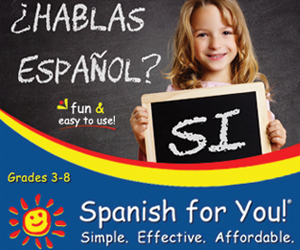 We are conveniently located at 5500 W Touhy Ave Suite A Skokie, IL 60077 (Edens Expressway, Touhy Ave West Exit). We are across the street from the Village Crossing Shopping Center. **Private off-site group lessons are also available. Inquire with the chess center for more details.